Born in Newlands, Cape Town in 1909 and lived most of his life at Onrus, Western Cape.The son of D.C. Boonzaaier (qv. ), Gregoire pursued art against his father's wishes. It was, however, through him that he was exposed to it, as well as a host of artistic personalities. Gregoire left SA in 1935 to study at the Heatherley and Central Schools in London. His work was seen in the company of SASA members on a number of the Annual Exhibitions of Contemporary SA Art held at the SANG in the 1930s. He returned to SA in 1937, joined SASA and entered work on the SASA 35 th Annual Exhibition at the Argus Gallery in that year. This was the same year in which he became a founder of the New Group. Chairman of the latter for ten years, he gave it prominence as an alternative to the more traditional norms of SASA. 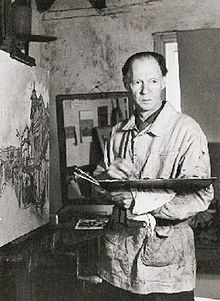 Gregoire is mentioned by Berman (1983: 84-85) as one of the major exponents of "Cape Impressionism", which in his case owed much to the precedent of SASA member Pieter Wenning (qv.). His work came in for stinging criticism in David Lewis's The Naked Eye in 1946. Lewis held that his best work had been done ten years earlier, and that "since then he has produced little that is of real and lasting merit ... for years just the same old thing, time and time again, like a gramophone needle caught in the syncopation of an old dance record" (1946: 35). sect., with NA, 4th Annual Exh. ofContemp. SA Art, SANG, 21 Dec. -21 Feb. 1935. 1935: SASA sect., with NA, 5th Annual Exh. of Contemp. Art, SANG, 18 Dec. - 18 Feb. 1936. 1936: SASA sect., with NA & indep. artists, 6th Annual Exh. ofContemp. Art, SANG, 17 Dec. -17Feb. 1937. 1937: SASA 35th Annual Exh., AG, Burg St., 23 Aug. 1937: SASA sect., withNA, 7th Annual Exh. ofConcemp. Art, SANG 15 Dec. - 14 Feb. 1938.